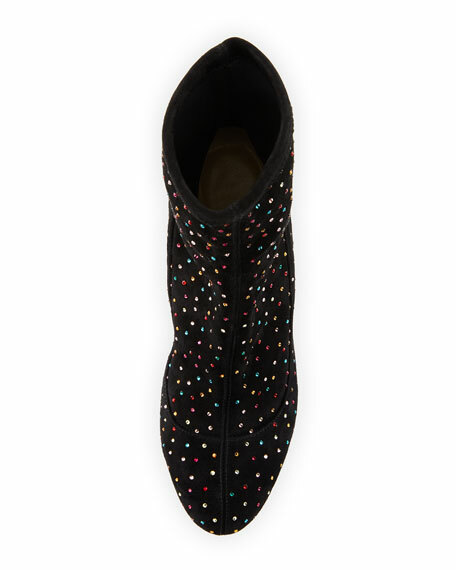 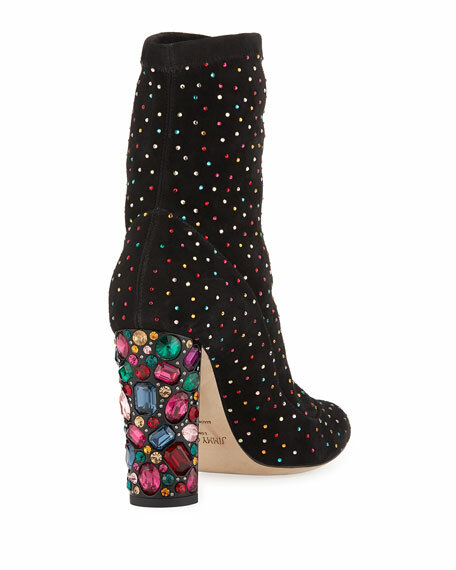 Jimmy Choo suede bootie with multicolor crystal embellishments. 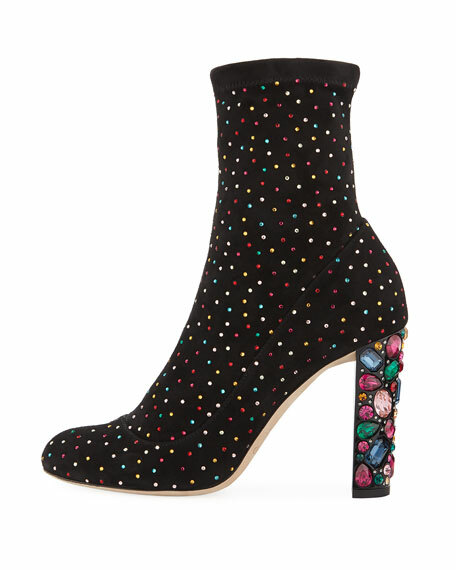 4" multicolor jeweled covered heel. 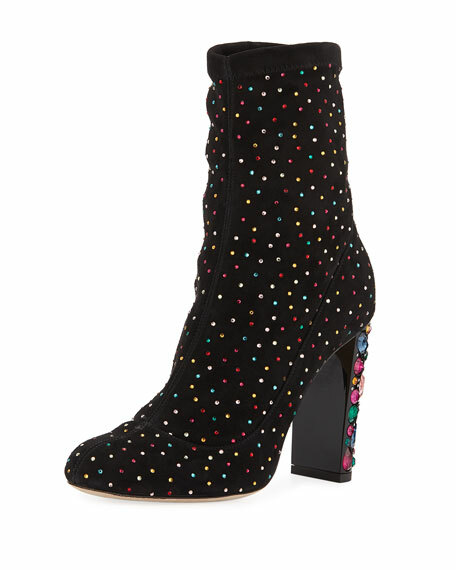 "Maine" is made in Italy.